FALSE BLUFF NICARAGUA: "Freshness you deserve"
....but rarely get in your local grocery store, where that phrase was recently on display. 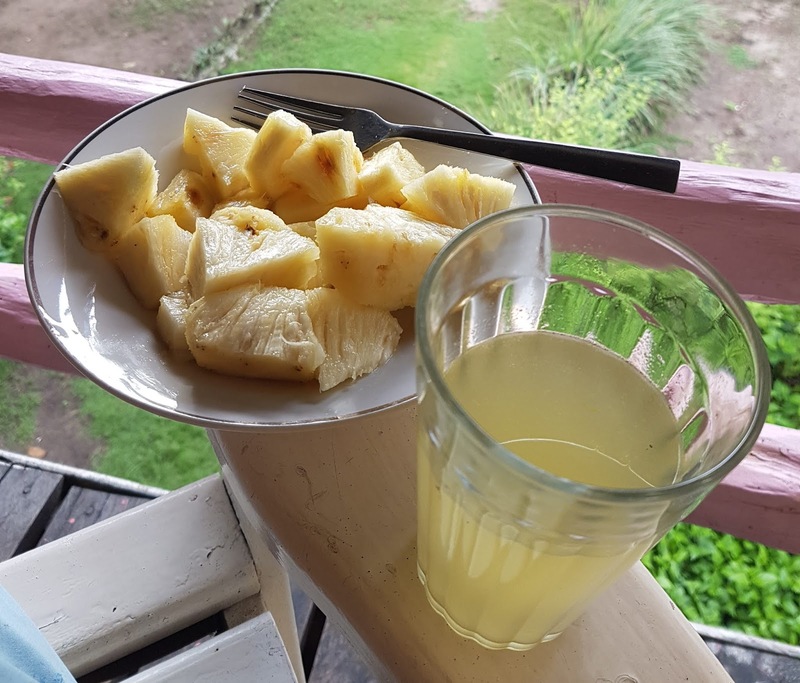 Here is a mid-morning snack of limeade and pineapple. The limeade? Maybe not so fresh since I had snatched the limes from a tree the evening before instead of that morning. The pineapple, however, had just been picked a few minutes before ending up in a bowl.